MURDERED: Mother of two Anita Mohammed. 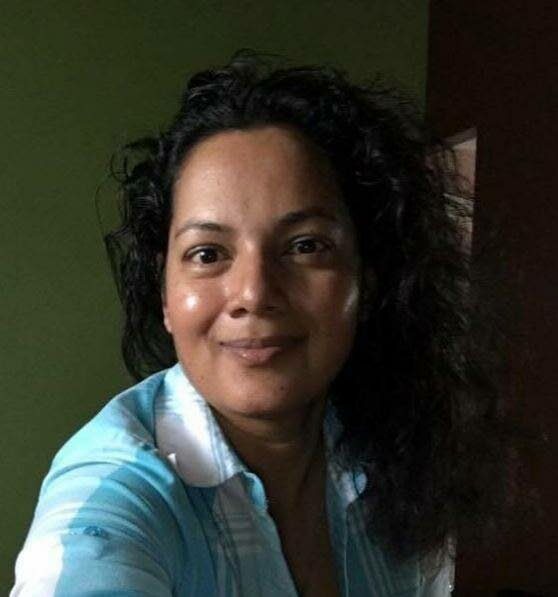 AFTER five months of not knowing if she was alive or not, the family of mother of two Anita Mohammed got the news yesterday that the decomposing body found near a Petrotrin oil well five months ago, was her. With this news, Mohammed’s family can now get some form of closure, they can mourn their loss and and prepare for a final farewell. Confirmation that a body which was kept on ice at the morgue of the Forensic Science Centre in St James was that of Mohammed came after DNA tests on tissue samples matched those taken from her relatives. Mohammed disappeared on May 20. Eight days later, a body was found in bushes in the No. 9 Petrotrin Field Road, Santa Flora. Petrotrin workers who detected a foul odour in the area near an oil well, made checks and came across the body minus its hands and feet. Mohammed who was 45, left her Raphael Road, Freeport home on December 19 to meet a male friend in Chaguaramas. She left home driving her black Toyota Hilux, registration TCU 2658. When she failed to answer her phone or return home that evening, her daughter Chelsea made an impassioned public plea for help to locate her mother. Chelsea and her brother Tristan, 19, were desperate for any information on their mother, as the two had already experienced the trauma of losing a parent when their father died four years earlier. “She does not do things like this, we are always in contact with each other because it’s just the three of us since my father died four years ago. When she last called me, she didn’t sound upset or panicked, so I didn’t even think anything was wrong,” Chelsea told Newsday on December 20. The Anti-Kidnapping Squad launched an investigation but no ransom demand was ever made. Posters of Mohammed were circulated daily on social media as hundreds of strangers tried to raise awareness for her case, fearing the worst. When the body was found on December 28, it was so badly decomposed it could not be identified by the naked eye. Chelsea told Newsday in a follow-up interview on January 18, that she felt police had failed her and her brother as the search for her mother had been called off after the body was found. She said then that although she still had hope her mother might be alive, that hope was fading. Yesterday, it was extinguished. On the five-month anniversary of her mother’s disappearance, Chelsea posted to her Facebook page, “Angels have no thoughts of ever returning you, would they be angry if I thought of joining you?” Newsday reached out to Chelsea via phone and social media yesterday but the young woman seemed too distraught to speak. No one was home when a news team visited but neighbours said the two were hardly seen or heard from since their mother disappeared. Investigators are treating Mohammed’s death as a homicide and said officers of the Victim Support Unit were sent to break the news to Chelsea and Tristan yesterday.